DIA Inside Out 2018 – The Detroit Institute of Arts’ (DIA) acclaimed Inside|Out program is back for 2017 with more communities added to the calendar. The DIA’s Inside|Out program brings high-quality reproductions of masterpieces from the DIA’s collection to outdoor venues throughout the Metro Detroit area. The DIA is working with the communities to plan educational opportunities and other fun activities, such as bicycle and walking tours. Exact placements will be featured on an interactive map on the DIA’s website, www.dia.org/insideout. For specific locations and times on the day of installation, contact Jillian Reese at 313-806–1476 or jreese@dia.org. Once installation is complete, downloadable maps will be available at dia.org/insideout. Museum hours are 9a–4p Tuesdays–Thursdays, 9a–10p Fridays, and 10a–5p Saturdays and Sundays. Admission is $14 for adults, $9 for seniors ages 62+, $8 ages 6–17. General Admission (excludes ticketed attractions) is FREE for residents of Wayne, Oakland and Macomb counties and DIA members. For membership information, call 313-833-7971. 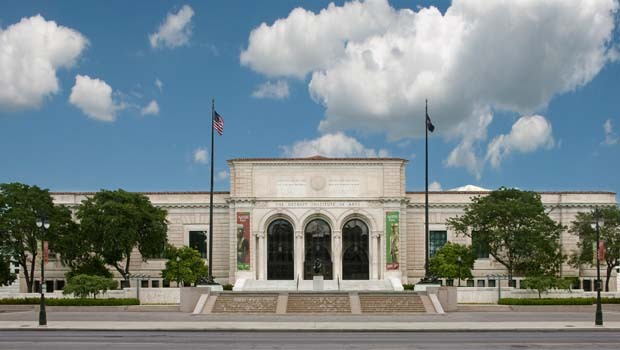 The Detroit Institute of Arts (DIA), one of the premier art museums in the United States, is home to more than 60,000 works that comprise a multicultural survey of human creativity from ancient times through the 21st century. From the first Van Gogh painting to enter a U.S. museum (Self-Portrait, 1887), to Diego Rivera’s world-renowned Detroit Industry murals (1932–33), the DIA’s collection is known for its quality, range, and depth. The DIA’s mission is to create opportunities for all visitors to find personal meaning in art. Programs are made possible with support from the City of Detroit. More DIA Inside Out 2018 Info coming soon.